CODATA and the Task Group on Data Citation Standards and Practices contributed instrumentally to the development of the Joint Declaration of Data Citation Principles. Preamble: Sound, reproducible scholarship rests upon a foundation of robust, accessible data. For this to be so in practice as well as theory, data must be accorded due importance in the practice of scholarship and in the enduring scholarly record. In other words, data should be considered legitimate, citable products of research. Data citation, like the citation of other evidence and sources, is good research practice and is part of the scholarly ecosystem supporting data reuse. For more information on the development of these principles, see the blog post Data Citation Synthesis Group: Draft Declaration of Data Citation Principles. 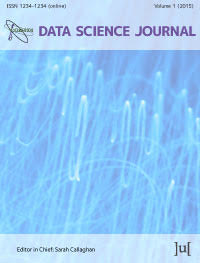 Report published in the Data Science Journal. Abstract: The growth in the capacity of the research community to collect and distribute data presents huge opportunities. It is already transforming old methods of scientific research and permitting the creation of new ones. However, the exploitation of these opportunities depends upon more than computing power, storage, and network connectivity. Among the promises of our growing universe of online digital data are the ability to integrate data into new forms of scholarly publishing to allow peer-examination and review of conclusions or analysis of experimental and observational data and the ability for subsequent researchers to make new analyses of the same data, including their combination with other data sets and uses that may have been unanticipated by the original producer or collector. Summary of an International Workshop, published by National Academies Press. 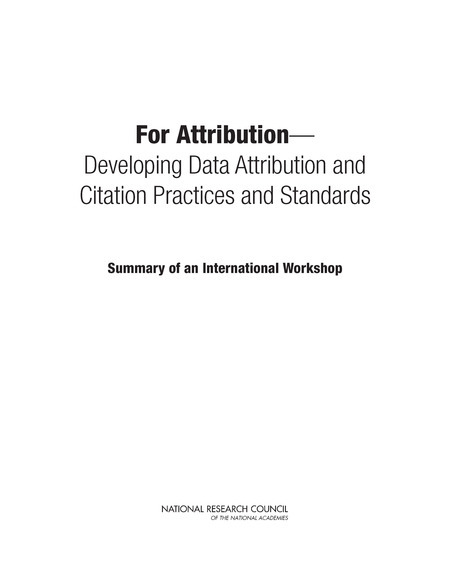 This report summarises an international workshop that was organised in collaboration with the US National CODATA Committee and the Board on Research Data and Information, in August 2011. Abstract: The growth of electronic publishing of literature has created new challenges, such as the need for mechanisms for citing online references in ways that can assure discoverability and retrieval for many years into the future. The growth in online datasets presents related, yet more complex challenges. It depends upon the ability to reliably identify, locate, access, interpret, and verify the version, integrity, and provenance of digital datasets. Data citation standards and good practices can form the basis for increased incentives, recognition, and rewards for scientific data activities that in many cases are currently lacking in many fields of research. The rapidly-expanding universe of online digital data holds the promise of allowing peer-examination and review of conclusions or analysis based on experimental or observational data, the integration of data into new forms of scholarly publishing, and the ability for subsequent users to make new and unforeseen uses and analyses of the same data-either in isolation, or in combination with, other datasets.